Student protests in Iran this week were propelled by different grievances and demands. Some were concrete issues related to financial issues and others were the result of constant pressures and interference by security organs in universities. One hotspot has been the Petroleum Industry University (Sana'ate Naft), where student protests began even earlier. Iranian students protesting in the Petroleum Industry University. The university in Abadan, a petroleum industry center in southern-western Iran, has announced it will close until further notice due to a student strike that has lasted for more than two weeks. 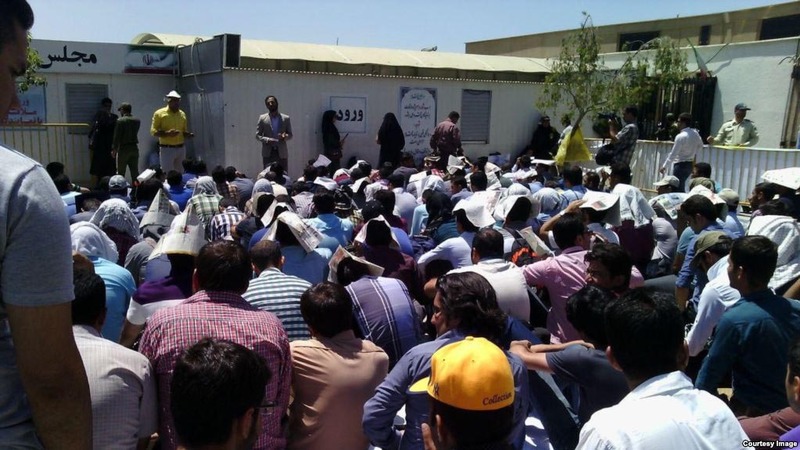 Students at the university, which is funded by the Oil Ministry, have organized protests in Abadan and Tehran demanding the ministry hire them after graduation as they were promised upon admission. The guidelines were changed in 2015, and the ministry now says it will only hire those who pass written and oral employment tests. "The court of the first instance has issued a verdict in our favor that obliges the Oil Ministry to fulfill its commitment toward students," one of the protesters, who requested anonymity, told Radio Farda. "Unfortunately, because the ministry has the best lawyers, they have appealed all the points in our lawsuit and we have to wait until the appeals court issues its verdict next year." "Bring back our expelled classmates and professors. Simultaneously, students at other universities organized protests against political suppression, gender discrimination, and increasing tuitions. Iran's constitution provides that citizens should receive free education; however, only 7 percent of the country's universities are actually tuition-free, current student activist Mohammad Sharifi Moghaddam told Radio Farda. Protesting students are also demanding security agencies should stop keeping universities under tight watch, Sharifi added. There is rarely a politically active student who has not received an anonymous threatening phone call from security agents, he said. 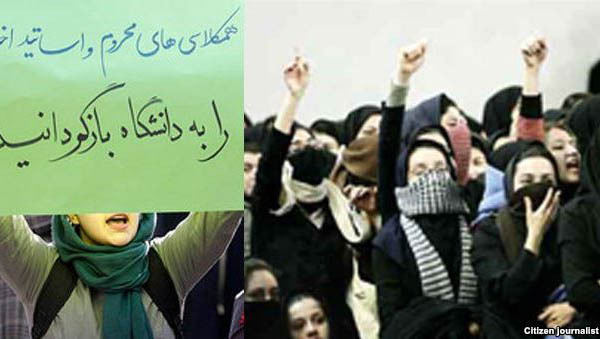 On December 4 and 5, hundreds of students at major universities across Iran demanded an end to political suppression, gender segregation, and discrimination, and what they call a monetization of universities and capitalization of social life. Since the 2009 protests against the re-election of former president Mahmud Ahmadinejad, hundreds of students have been harassed and arrested by security forces for political activity. Their publications have been systematically banned or censored, and some students have been suspended or discharged from universities.